Blandford Nature Center is happy to support local community organizations’ fundraisers and school auction efforts. 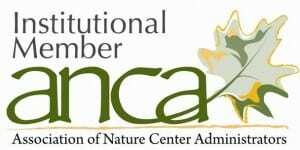 If eligibility is met, Blandford Nature Center will send a “Family 4-pack” of general admission passes. Only one request per organization will be awarded per year. To be considered, please fill out the form below. We are unable to process postal or phone requests. Due to high demand, awardees must be established nonprofit or charity organizations and schools that we currently serve. Thank you for thinking of Blandford Nature Center.